Pomegranate is one of the most healing fruits on Earth and it strengthens and protects the immune system with vitamins and minerals it contains and protects it from diseases. This fruit, which has antioxidant, anti-viral and anti-tumor properties, is also a true source of Vitamin A, C, E vitamins and folic acid. This amazing fruit contains three times more antioxidants than wine or green tea, thus protects against many diseases like cancer. Pomegranate has the ability to protect the body against many diseases such as heart disease, Alzheimer’s disease, Type 2 diabetes and obesity; not only grain, but also water and even bark can be used for health. Pomegranate is a slightly sour and sugary fruit consisting of small seeds and hundreds of grains. It grows in a temperate climate and is one of the most delicious fruits in the world. This perfect fruit has incredible benefits for human body and health. It is one of the best properties of pomegranate that it has a natural antioxidant effect. Antioxidants make the body resistant to diseases. It is also rich in vitamins A, C and E, and has anti-viral and anti-tumor properties. Pomegranate is a fruit with very nutritious and therapeutic properties thanks to its high levels of fiber, protein, C, K, E vitamins, zinc, phosphorus, magnesium and iron compounds. However, you may need to be careful about the sugar it contains. 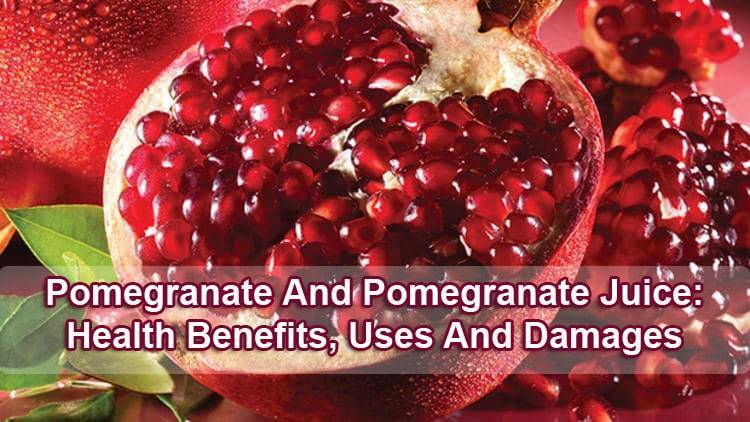 What Are Benefits Of Pomegranate? Experts have been searching for power of pomegranate for years. Pomegranate fruit contains many herbal foods and antioxidants that help you fight inflammation, disease and toxins. A fruit consists of hundreds of seeds, each of which contains the fruit’s essence and fruit juice. The seeds are sweet and sourish and the dark red juice contains more antioxidants than green tea or acai strawberries. If you add the fruit or juice of pomegranate to your diet, you will experience the benefits listed below in a very short time. More and more studies are being done proving the importance of pomegranate in the fight against cancer. These studies have proven that pomegranate has an antioxidant effect on various cancer cells. Breast cancer is a disease in which malignant (cancer) cells form in the tissues of the breast. Further research suggests that the water of this miraculous fruit can slow the growth of prostate cancer, the leading type of cancer for men. 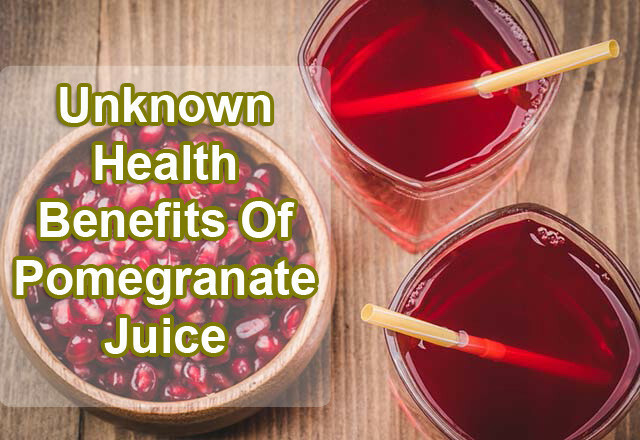 In a study of male subjects with recurrent prostate cancer and elevated prostate-specific antigen (PSA) levels, the researchers showed that using pomegranate juice extract significantly slowed down the rate of PSA’s elevation. Other studies have found that some compounds in this juice show strong anti-tumor effects and inhibit the growth of prostate cancer cells. This fruit, rich in vitamin C and other antioxidants, can help delay the signs of aging in the skin. It is possible to treat skin inflammations, acne lesions and sun spots through these antioxidants. Pomegranate naturally has the ability to shine the skin. Add 2 tablespoons of pomegranate juice and 1 tablespoon of lemon juice. Mix well to create a smooth paste. Apply this on your face and neck and leave on for 15 minutes. Wash with warm water. This facial mask can treat sun spots and pigmentation and even make the skin shine naturally. It may also surprise you with its anti-aging effect. Pomegranate seed oil is known to help treat eczema and psoriasis. Although there is not much study on the subject, it is recommended that crushed It leaves are mixed with water and used in the treatment of vitiligo. This fruit can also help protect the skin from sun and treatment of chloasma (pregnancy stain). • It meal during pregnancy reduces the risk of damage to the placenta. • This wonderful fruit is also rich in folic acid, so it strengthens your body during pregnancy and can prevent birth defects. • This seeds can also reduce brain damage in the newborn. • If pregnant women who carry high risk in the first trimester eat this fruit, they may be more likely to have a healthier baby. • Increase breast milk and cleans blood. • Also, pomegranate has some resources for treating infertility in women. 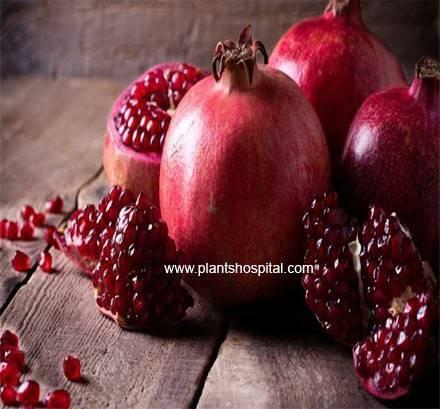 • However, since pomegranates extract is found to cause uterine contractions in pregnant women, you should consult your doctor before taking it. Consuming pomegranate can be the best way to take advantage of it. If you want to protect against flu or cold, vitamin C weighted nutrition will help you. High amounts of vitamin C in the pomegranate can protect the body against influenza and colds and reduce symptoms of these diseases. Drink 1 to 2 cups of fresh pomegranate juice diluted with one liter of water during the day, allowing you to experience the most common fall and winter months of flu. High blood pressure (hypertension) is one of the causes of stroke and heart attack. Blood pressure is measured in millimeters of mercury (mm Hg), and is measured in millimeters of mercury (mm Hg). Fresh water of pomegranate is a powerful source of high blood pressure. In one study, individuals with high blood pressure consumed 150 ml pomegranate juice per day for 2 weeks and as a result, a marked decrease in their blood pressure. Rheumatoid arthritis (arthritis) is an inflammation of one or more joints and causes pain and joint stiffness that worsens with age. Pomegranate is an antioxidant because of its anti-inflammatory flavonoids and it is a natural joint rheumatism treatment. In some animal studies, it was found that pomegranate seed extract could reduce the start and effect of collagen-induced arthritis. In addition, these studies show that this food significantly reduces the severity of arthritis and joint inflammation. A few studies suggest that pomegranate can accelerate the supply of oxygen to the heart muscle and can help treat many heart diseases such as cardiovascular disease, high blood pressure and coronary heart disease. It is also known that pomegranate’s anti-platelet activity helps arterial plaque and blood clots. For this reason, only a glass of freshly squeezed this juice per day for at least 3 months can provide a significant improvement in heart health. • Balances estrogen levels in women, drinking one cup of pomegranate juice a day, helping to fight menopause problems. • This amazing fruit antioxidant properties can contribute to the renewal of skin cells and can reverse the signs of aging of wrinkles and sagging skin. • The oil of the pomegranate kernel nourishes the hair and enables the hair to be combed more easily. • This gorgeous fruit is an iron rich food. Preliminary studies have confirmed that pomegranate may help with menstrual irregularities, especially with anemia. • As pomegranate is rich in fiber, it can also help to treat fungal infection. Kills fungi that are responsible for the disease and multiply the beneficial ones. • Scientific studies have proven the benefits of polyphenols in pomegranate seeds and water to memory and cognitive functions. • Ithas significant benefits, especially in post-operative memory involvement. • In another study, elderly subjects with memory complaints drank 1 cup of a placebo drink with pomegranate juice or taste similarity for four weeks. Significant differences in verbal and visual memory areas were found in the subjects who were drinking pomegranate juice compared to the placebo drinking experiments. • In addition, a study of animals has proven that adding pomegranate to the diet delays the onset or progression of Alzheimer’s disease and that pomegranate can be used in the natural treatment of Alzheimer’s disease. • Another animal study showed that the effects of pomegranate kernel extract have improved memory and muscle coordination with respect to antioxidant and free radical removal effects. • The peel of the pomegranate should not be consumed directly, such as grains. The best way to consume the pomegranate shell is to boil with water or to crush the shells beautifully. • The peels of the pomegranate clean the stomach and intestines when they are boiled. • Eliminates digestive problems such as diarrhea and constipation. • Pomegranate peels boiled with half a liter of water can be filtered and 1 tea cup can be consumed daily. This tea is good for hemorrhoids. • Some of the cholesterol and high blood pressure drugs should not be consumed with pomegranate juice. For this reason, people who use drugs regularly should consult their doctor before consuming pomegranates juice. • This fruit sugar ratio is higher than other fruits. People with diabetes or obesity should pay attention to the consumption of this fruit. • This juice can cause gas problems in some cases. Excess pomegranate juice consumption can cause bloating in children and adults. • Pomegranate extract can cause uterine contractions in pregnant women.